Continuing Education and professional development. accommodates your audience – no matter the size. Immerse your audience in a seamless eLearning experience. Here's what you’ve been missing. Enhance your service offerings using our API suite. Create and brand compelling content that resonates with your target audience. Partner with our Event Services Team to leverage the right solution for your organization. Engage your eLearning end users with powerful tools and sleek, professional delivery. Ready to take your eLearning events to the next level? programs that drive engagement and wow your audience. "No other conferencing solutions provider has given our company the same level of customer service, event delivery and value that we've received from BeaconLive." "BeaconLive exceeded my expectations on all levels, from outstanding customer service to flawless end-product. They understand the CME industry and updated their technology to keep up with our changing requirements." "We were tired of paying for a subscription service where we had to pay on a monthly basis whether we used the service or not. We looked at a dozen providers, and BeaconLive had the best pricing and best platform." Need a Little Help Jumpstarting Your Next Virtual Event? BeaconLive provides the absolute best in cloud-based content delivery and management services, helping our customers satisfy their business needs – from professional training, continuing education and distance learning to lead generation and marketing automation. 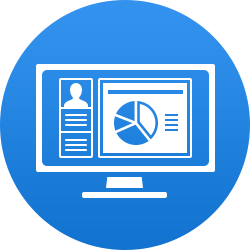 Select one of our self-managed solutions or partner with our Event Services team to create and execute sleek and professional webinars & webcasts, podcasts, self-study applications & on-demand programs, eLearning seminars and consumer catalogs that best meet the needs of your target audience. Our fully integrated, customizable solutions are designed to simplify and amplify virtual communications between our customers and their end users while providing them detailed tracking, reporting, and analysis tools to power up their programs.